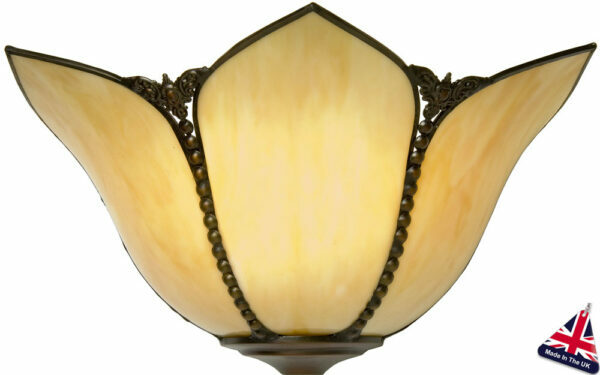 Part of the Topkapi range of handmade lighting. A wonderful Art Nouveau style flush fitting wall light. 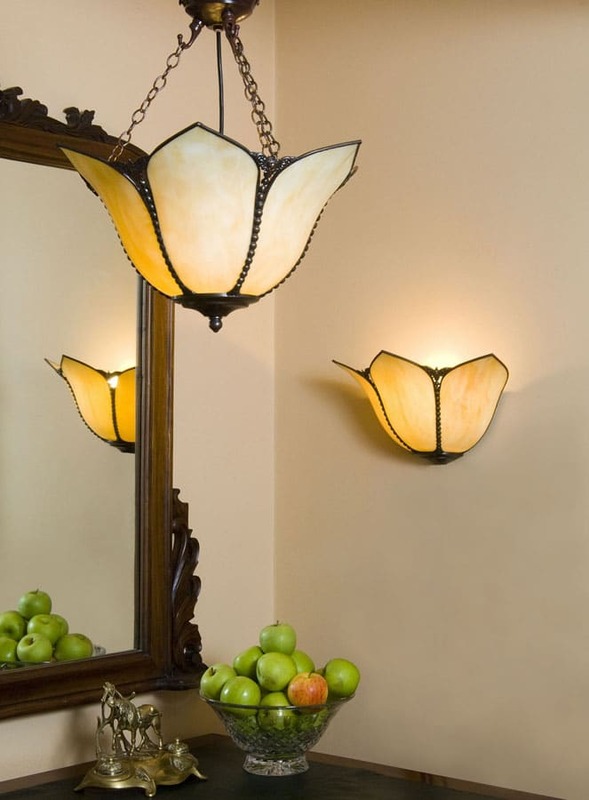 Featuring handmade bent opalescent amber white glass panels set in a brass perle motif frame. All metal parts and glass are hand crafted in the UK to the highest standards.